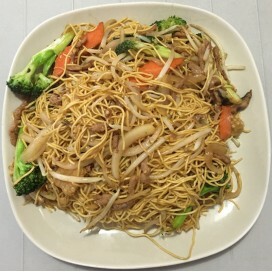 Beef, Chicken, Shrimp and vegetables stir fried in soft noodles. 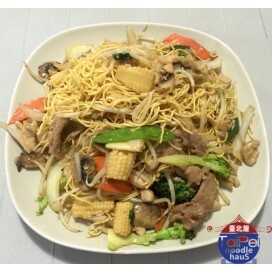 Beef stir fried in soft noodles. 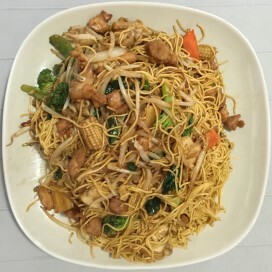 Chicken stir fried in soft noodles. Shrimp stir fried in soft noodles.